Do you love your current phone, but hate that unruly rectangle shape with all those troublesome corners and rigid lines? Then you'll love the Monohm Runcible, the world first spherical smartphone—running Firefox OS, and delivering a decidedly idiosyncratic take on the over-saturated smartphone racket. 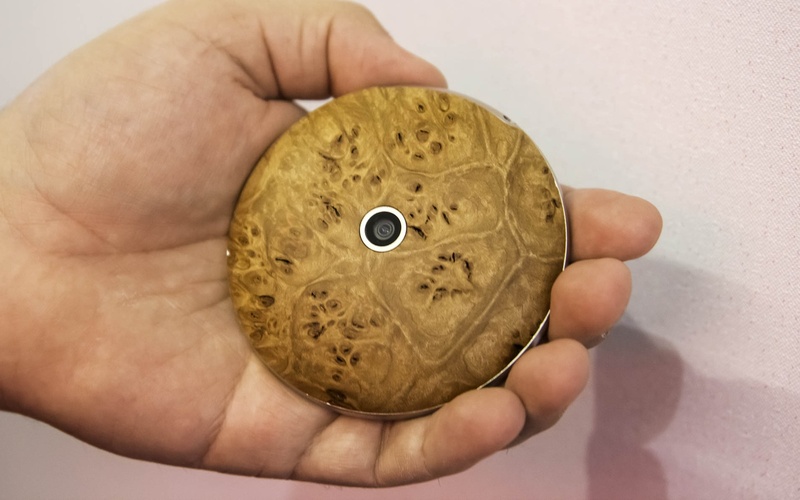 The Runcible, described by its creators as a modern blend of traditional pocket watches and the glut of smartphones available today, features all the standard smartphone accoutrements, with some notable amendments—circular photos/videos and a USB port chief among them. Overall, the bespoke (and interchangeable) wood casing and overall weirdness, for lack of a better word, make this a rare, interesting entry in the increasingly stale phone market. Monohm is now accepting pre-orders for the Runcible, and though no prices are listed, we can assume it will cost about the same as flagship models from other brands, or possibly more. Will our quadrilateral tech make the shift to spheres in the future? Probably not—but hey, at least it's better than this.